Avocado is one of the fruits that is great for your skin. It is not only a part of a healthy and nutritious diet but also an impressive ingredient to make a revitalizing face mask. This natural beauty treatment can provide your skin with the amazing benefits to fight against acne. Regular application of avocado for acne treatment will give you glowing skin without any negative effects. Moreover, the avocado masks can easily prepare and be a highly effective alternative to expensive commercial products. The fruit of avocado has been applied on its own or easily combined with many other natural ingredients to boost the beneficial effects. 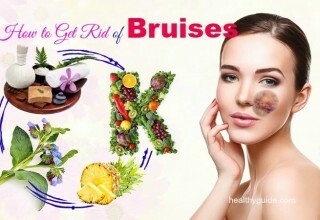 In this today’s writing, we will help you discover the excellent skin care benefits of the healthy fruit and show you how to prepare homemade avocado remedies for acne and radiant skin. Avocado is so great for your skin as they are an abundant source of antioxidants, fatty acids, vitamins, and plant phytonutrients which are easily absorbed. Here are the beneficial effects on your skin health that you should need to know. Avocado contains fatty acid oleic acid that can quickly and easily penetrate a barrier, which is helpful in preventing the moisture loss. Avocado is high in antioxidants such as vitamin C, vitamin E, carotenoids, and plant polyphenols. They are able to neutralize free radical particles that are formed from exposure to the ultraviolet ray from the sun. This assists in preventing skin aging and slowing the appearance of wrinkles, lines, and sagging skin. Avocado has phytosterols containing beta-sitosterol that have anti-inflammatory property. 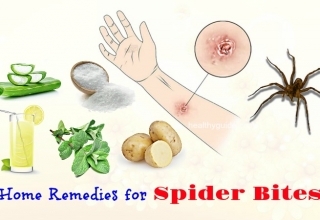 This property can calm itchy, sensitive and inflamed skin. Applying an avocado mask is capable of reducing harmful effects of sunburn thanks to the cooling and moisturizing properties. Avocado aids in preventing acne as it contains vitamin E. The vitamin helps to protect your skin from oxidative damage that is caused by exposure to UV rays of the sun. The damage related to UV plays the main role in formatting acne. It will trigger the oxidizing process of sebum in your skin, which results in clogging pores and provide the breeding ground for acne bacteria. The vitamin E and many other antioxidants in avocado have the ability to prevent this process from occurring and further acne outbreaks. Besides, the phytosterols in avocado contain an anti-inflammatory feature that is beneficial in reducing the painful inflammation of acne lesions. First of all, you take a ripe avocado, slice it into two equal parts and remove the pit. Then you take one of them and scrape the flesh out of the peel. Now, by using a spoon, you put this flesh into a small bowl. Next, you mash it with a fork until it becomes smooth and creamy. You use your fingers to apply the mashed avocado on your face without any additions. Finally, you allow it to sit on your skin for about 20 minutes before rinsing it off with lukewarm water. Another simple and easy way to use avocado for acne is its oil. When is applied, the avocado oil has the ability to unclog the pores in your skin by removing the impurities as well as excess oil. Furthermore, it is a great source of essential vitamins such as A, B, and E which help to treat acne and many other skin problems. Firstly, you use mild facial cleanser to cleanse your face. Now, you start massaging an enough amount of avocado oil over the affected areas. You keep it on for approximately 25 minutes and then wipe with a warm towel. Finish by rinsing your face with warm water and pat dry. This should be repeated 3 times a week to get the improvements. Scientific studies showed that oatmeal has positive effects on any skin conditions thanks to its anti-inflammatory properties. It is useful for absorbing excess oil on the surface skin, sloughing off dead cells, gently removing peeling skin, nourishing dry withered skin and lubricating your skin, thereby healing acne, dermatitis, and psoriasis. 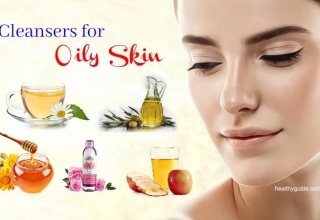 Moreover, it is able to calm itchy and sensitive skin, particularly oily skin. Oatmeal also has antioxidants which assist in protecting against ultraviolet radiation. When oatmeal is combined with avocado for acne treatment, the combination works as a gentle and excellent exfoliator for your skin. You firstly take the flesh part of a ripe avocado, mash it well and put it in a small bowl. Then you cool 1/2 cup of oatmeal as the instructions printed on the packet. Now, you use a fork to mix the cooked oatmeal and the mashed avocado together until it forms a thick paste. At the next step, you use your fingers to directly apply this mask on your face. You keep it on for about 15 minutes before rinsing the mask off with lukewarm water and pat dry. You can apply this remedy as frequently as you want. Along with health benefits, egg white is also potent in getting rid of excess oil from your skin, thus leading to keeping acne at bay. The mixture of avocado and egg white is helpful for all skin types such as oily and dry skin. It is capable of nourishing dry skin and moisturizing oily skin without triggering further breakouts. Avocado will protect skin cell membranes from inflammation as well as skin ailments including psoriasis, inflamed acne, and rosacea eczema. Egg white contains vitamins and minerals which aid in nourishing the skin, tightening large pores and lifting up sagging cheeks. Firstly, you make a paste by combining 1 egg white and 1/2 avocado. Then you whisk these ingredients until it becomes creamy and consistent. You add 1 teaspoon of lemon juice to this combination and mix well. Once it is done, you directly apply this mixture on your face and leave it on for about 20 minutes. Finally, you rinse it off with cool water and pat dry. The process should be done regularly until acne goes away. Note: You can replace lemon juice with 1 teaspoon of yogurt to get the similar result. 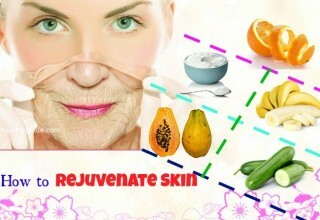 Banana is filled with a lot of vitamins and nutrients which are beneficial for your skin. The delicious fruit has antibacterial and antioxidant properties that have the ability to protect your skin and kill bad bacteria. This makes it excellent for preventing acne and pimples. 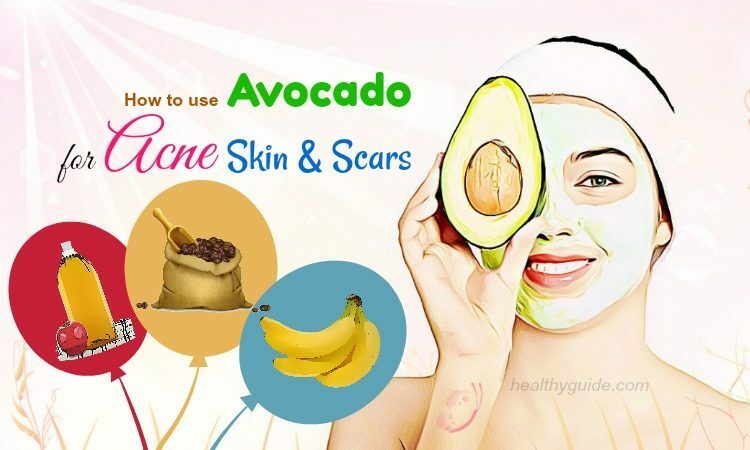 Mixing banana with avocado for acne treatment will give you amazing effects. You take an avocado, get its flesh and crush well. Then you peel a banana, slice it into small chunks and add them to this mashed avocado. By using a fork, you mash two ingredients together until it is smooth. Now, you start spreading this mask on your face by using your fingers. You keep it on for 15 to 20 minutes before washing it off your face with warm water and drying with a towel. You should use the method every day for maximum benefits. 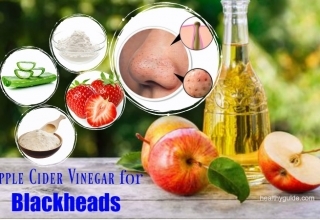 In many centuries, apple cider vinegar has been known as an impressive home remedy for acne and blackheads. It helps to balance the pH levels, thereby regulating the oil production. Apart from being a natural detoxifier, apple cider vinegar is capable of dealing with the harmful toxins as well as free radicals that are responsible for acne. The combination of apple cider vinegar and avocado for acne treatment won’t make you disappointed. You prepare a mixture including 1/2 avocado pulp, 1 teaspoon of apple cider vinegar, 1/4 cup of uncooked oatmeal, 2 teaspoons of raw honey and several drops of lemon juice. Then you mix these ingredients thoroughly until it forms a thick paste. Now, you directly apply this paste on your affected areas. Make sure you keep it on for 20 to 25 minutes before rinsing off with cool water. You continue applying this remedy 3 times a week to say goodbye headstrong acne. Another effective ingredient to treat acne on face, chest or even back is coffee. It can naturally exfoliate excess oil and invigorate skin to prevent from forming acne. It also assists in stimulating the blood circulation and getting rid of cellulite. Because of such benefits, if coffee is mixed avocado for acne treatment, it will be an amazing home remedy to deal with this acne problem. Firstly, you combine 1/2 pulp of avocado and a few teaspoons of ground coffee. Then you apply this mixture on your acne affected areas. Now, you gently scrub it in circular motions for several minutes. You leave it on for 2 to 3 minutes before washing off with water. The use of avocado for acne treatment should be repeated regularly to achieve the best results. Tomatoes help to prevent the formation of wrinkles and fine lines because they can soak up more oxygen. In addition, tomatoes are rich in antioxidants, Vitamin A, and C which make them a natural cure to the acne and pimple problems. Being an excellent exfoliator, it helps to remove clogged skin pores, cleanse your face, balance the pH level and reduce the production of excess oil. You prepare a mixture including pulp of mashed avocado and tomato. Then you thoroughly mix these ingredients together. Before applying this mask on your face, you need to open your skin pores by taking a facial steam for about 10 minutes. You keep the facial mask on the face for 30 to 40 minutes and rinse off with lukewarm water. You should do the process at least 2 times a week for an acne-free face. Another effective use of avocado for acne is to mix with cucumber. Cucumber contains 90 percent of water that is beneficial in hydrating your skin and maintaining the oil balance at the same time. The astringent property in cucumber has the ability to cure acne and lighten the acne scars. First of all, you combine two tablespoons of cucumber juice and 1/2 pulp of avocado in a small bowl. 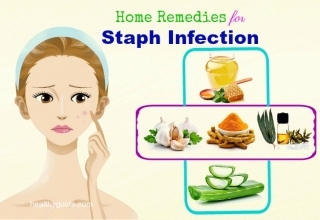 You stir it well and directly apply this mixture on your affected areas. Now, you use your fingers to gently massage your face in circular motions for a couple of minutes. You allow it to sit on for 10 to 15 minutes. Finally, you wash off the application with warm water and pat it dry. You can repeat this process 3 times a week for extra benefits. Some people consider that using honey with avocado for acne treatment is the best avocado mask. Honey contains powerful anti-inflammatory and antibacterial properties which are able to kill off acne and even out skin discolorations as well as black spots. In addition to being an effective moisturizer, it aids in gently moisturizing skin and lightening up aging skin. You also take an avocado and get the flesh. You add 1 tablespoon of raw organic honey to the avocado pulp. By using a fork, you thoroughly mix the avocado and honey together. Now, you use a brush or just your fingers to apply this mask on your face. You wait 20 minutes before washing it off with water. You should repeat this every day to treat acne. To achieve the more extra benefits, you can mix lemon juice with avocado for acne treatment. 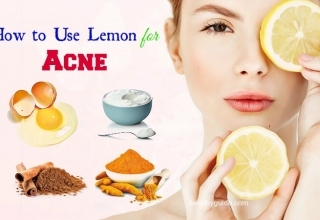 This is because lemon has an antibacterial which is capable of killing acne caused by bacteria and exfoliating dead skin from the face due to its citric acid. The mixture of lemon and avocado will give you a revitalized and glowing skin. However, you need to note the use of lemon because it can make your skin become more sensitive. Therefore, you should avoid exposing to the sun and apply a sunscreen after using this juice. At the first procedure, you put half a ripe avocado in a small bowl. Then you get a lemon, cut it into 2 parts and squeeze one part into the bowl that contains the avocado. Now, you stir these ingredients together by using a spoon or fork. 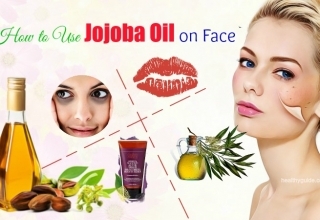 Once it is done, you apply this mixture on your face using your fingers or a brush. Be careful that the mask cannot get into your eyes, lips, or open wounds. You keep it on your face for about 15 minutes before washing your face with warm water and drying with a towel. You can use this mask at least 2 times per week to notice the improvements. 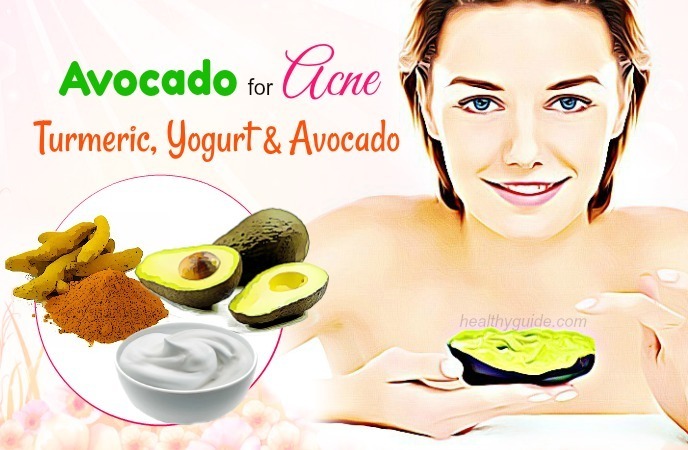 There are many uses of avocado for acne and the yogurt and avocado mask is one of them. Yogurt has the ability to kill acne caused by bacteria, thereby promoting clearer skin. Furthermore, Yogurt is rich in lactic acid that is an alpha hydroxy acid. This acid helps to eliminate dead skin cells that are responsible for clogging pores. The exfoliating properties of lactic acid can also assist in brightening skin and diminishing hyper-pigmentation, which results in fading redness as well as scars. 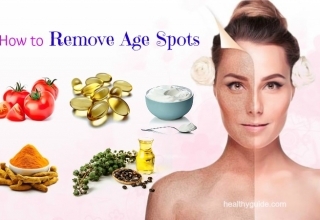 Because of that, the application of yogurt and avocado for acne treatment will make you satisfied. You also prepare the pulp got from a ripe avocado and put it in a small bowl. Then you add 1 tablespoon of plain yogurt to the avocado paste by using a spoon or fork. Now, you use a brush or just your fingers to carefully spread this mask on your face. You wait for about 15 to 20 minutes, wash the solution off and then pat dry with a clean towel. You can apply this face mask regularly to control acne. Coconut oil has the moisturizing ability and antibacterial properties that help to get rid of acne caused by bacteria. It is also useful for providing your skin with antioxidants which protect it from ultraviolet ray related to damage and aging. The mask including avocado and coconut oil is good for dry skin. Firstly, you also take an avocado and get the flesh. Then you add 1 tablespoon of virgin coconut oil to the avocado flesh. Now, you mix these ingredients well by using a spoon or fork. You use your fingertips or a brush to directly apply this paste on your face. Finally, you keep it on your face for about 20 minutes before washing off using lukewarm water. It is better that this use of avocado for acne treatment is repeated each day. Just like coconut oil, castor oil is also a natural astringent which is beneficial for cleansing skin and drawing out bacteria, dirt, oil, and any other toxins causing acne. The oil is able to stimulate the collagen production, which hydrates skin. In addition, castor oil contains the triglyceride fatty acids that are antiseptic, antibacterial, and anti-viral. The fatty acids can kill the bacteria and reduce inflammation as well as swelling. Last but not least, castor oil is an abundance of anti–oxidants, many other vitamins, and minerals that help to promote skin health. At the first procedure, you open the skin pores by taking a facial steam for several minutes. To make the mixture of castor oil and avocado for acne, you add castor oil and avocado at a ratio of 3:7 to a small bowl. Now, you spread the mixture on your affected areas and massage in circular motions. You keep it overnight and wash your face with a facial scrub in the next morning. You should do this every day until you get the notable results. While yogurt assists in exfoliating facial skin easily with the natural cleansing and bleaching abilities thanks to its enzymes, avocado and honey will help to tighten the skin, refine the pores, fade over wrinkles and prevent the appearance of aging spots. You take an avocado, get the flesh and put it in a bowl. Then you add 1 tablespoon each of organic honey and yogurt to the avocado. You start mixing the ingredients completely by using a fork or spoon. Now, you use a brush or your fingers to directly apply the paste to your face. You allow it to sit on your face for 15 to 20 minutes. Finish by cleaning your face with lukewarm water and pat dry with a towel. This use of avocado for acne treatment can be applied every day to notice the improvements. The homemade avocado, honey, and lemon face mask is a simple and inexpensive remedy. This great way is able to moisturize, clean out the pores and make your pretty face glowing. In a small bowl, you put the mashed avocado flesh in it. You take a lemon, slice it in half and then squeeze the juice into this bowl containing mashed avocado. Then you add 1 tablespoon of raw honey to the bowl. Now, you use a fork or spoon to mix the avocado, lemon, and honey together. After that, you apply this mixture on your face by using your fingers or a brush. You wait for 15 minutes, wash it off your face with lukewarm water and pat dry. The wonderful mask should be used 2 to 3 times a week for amazing results. The mask including avocado, cinnamon, honey, and cocoa powder contains antioxidant, antifungal, and antibacterial properties that are helpful in destroying the acne caused by bacteria and nourishing the skin softly at the same time. You make a mixture by adding 2 tablespoons of mashed avocado, 1 tablespoon of organic honey, 1 teaspoon of natural cocoa powder and a small amount of cinnamon powder. Then you mix them well and apply the paste on your face and neck. Be careful to avoid the area around your eyes. You leave it on for 20 to 30 minutes before washing off with warm water. You continue using this homemade mask once a week to feel the difference. In many centuries, turmeric has been used in South Asia as one of the best natural beauty treatments. It contains the high content of curcumin that has powerful anti-inflammatory and antibacterial properties. 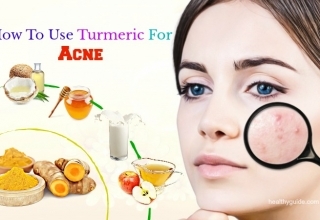 These properties make it a perfect natural remedy for acne. Moreover, studies have also highlighted that it is useful in reducing dark spots, lines, as well as wrinkles when applied regularly. The mask including turmeric, yogurt, and avocado for acne treatment will give you the satisfaction thanks to its skin care benefits. You also prepare mashed avocado and put it into a small bowl. Then you add 1 teaspoon each of turmeric powder and yogurt to the bowl containing avocado. Now, you using a fork to mix them well and gently apply the avocado paste to your face. You keep it on for about 20 minutes so that it can do its work. Finally, you rinse it off again with lukewarm water and then dry with a soft towel. You should do this face mask at least 2 times a week to get beautiful skin. 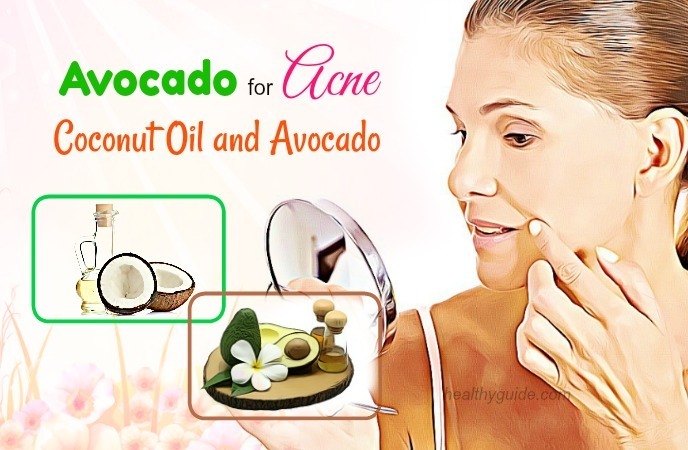 The last of top 19 uses of avocado for acne is to mix it with honey and coconut oil. These three ingredients are great for your acne skin. Regular application of this mixture will make you surprised because of its wonderful results. You put the mashed avocado in a small bowl and add 1 tablespoon each of raw honey and coconut oil to it. You can need to melt coconut oil’s solid at the temperature room before adding it to the bowl. Now, you mix these ingredients together completely. Then you use a brush or your fingertips to apply to your face. You allow it to sit on your face for 15 to 20 minutes before rinsing it off again. The method should be used every day until acne is gone. 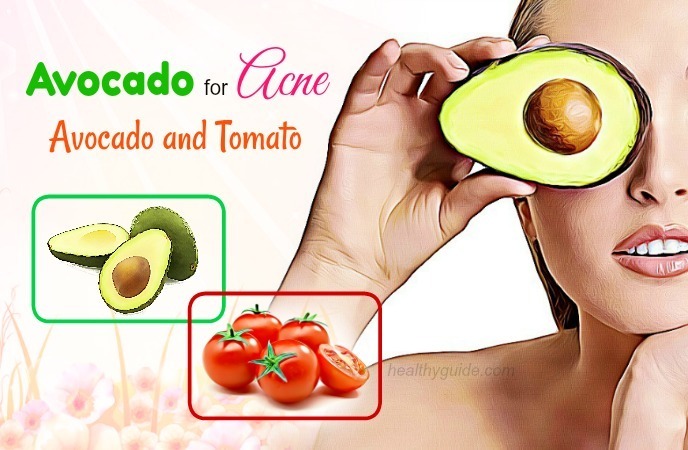 Apart from the effective uses of avocado for acne mentioned above, you should follow the additional tips to get more benefits of avocado and prevent the appearance of acne in the future at the same time. If you have an allergy to avocado, absolutely not apply any listed uses of avocado for acne. Remember that you should do a patch test first before using these methods to make sure you are not allergic to avocado. When trying the treatments, you should wear old clothes to prevent stains. Before applying the homemade remedies, take a facial steam to help the pores open. You can store the remaining of avocado in an airtight container in the refrigerator for 3 days. Reduce your stress level because it can make the acne worse and lead to the hormonal imbalance in your body. Make sure to drink plenty of water in order to flush out toxins and keep your skin hydrated. You should have a nutrition rich diet plan that includes iron, vitamins, and minerals. This will be able to maintain health and enhance your immune system. Thanks for reading this writing thoroughly. 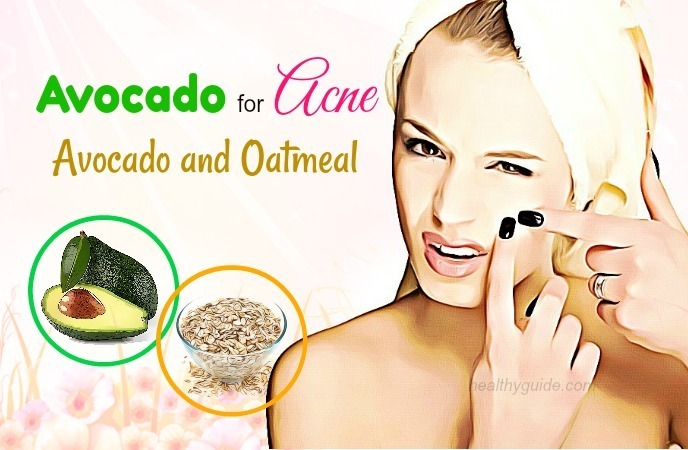 You can start to apply any uses of avocado for acne you want. We believe that you will achieve the best results and get the acne-free skin. However, if you applied the avocado uses for a week and didn’t notice any relief from acne, consult a dermatologist as soon as possible. If you have any questions or need more information, please leave your comments. Beside avocado, mud is also an effective ingredient for treating acne and acne scars. Thus, we published an interesting writing about how to use mud masks for acne and acne scars. This writing includes 10 great mud masks to help those who are suffering from acne and its scars get rid of this condition more quickly. With each way, you will be provided its benefits for your condition and detailed steps to make it at home. Hope this can assist you in removing acne faster. Also, in order to get more information about skin care, please access our main Skin Care page and remember to share these articles with your friends if they are helpful for them. Thank you for supporting us! Avocado is really a great fruit that can be used to make several dishes, especially ice-cream and smoothies. I really love avocado smoothies and I also love it more after reading this article. I am suffering from acne and have been dealing with it for 5 years. I will make use of avocado as this writing suggested and give you a feedback. Thanks a lot for giving us useful knowledge with details. Love it a lot! I am suffering from terrible and hateful acnes on cheeks and this article really blow out my mind! Avocado is my favorite fruit and I feel like I can eat it every day! Now I can use it every day for diet, smoothie, and also skin care. Great!!!! Love the tips and techniques revealed in this article a lot! Thank you for giving readers such amazingly helpful information!